Some areas of real estate have a lot of things to do and not too many listings. Some areas have a large number of listings but they are in a remote area. The East Tudor and Abbott Road area in Anchorage, Alaska appears to have a little of both. 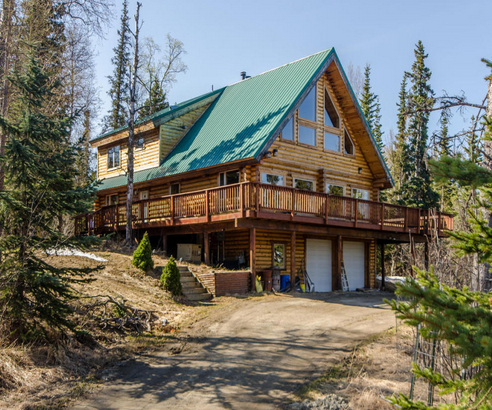 They are a few amenities in this area and they are many listings for housing in this Hillside, AK area of Anchorage. If a person is an avid woodsman or hiking and walking enthusiast then the East Tudor and Abbott Road area of Anchorage is definitely the place to go. Although in a larger city, there are many opportunities for woodland opportunities including picnics, fishing and hunting. There is something for everyone in the real estate market of this locale as well. This neighborhood has both commercial and residential offers, ranging in price from as low as $25,000 to as high as $4.5 million. In short, there are many options for the real estate savvy buyer or investor. Of these many options, there are many different types of homes and other properties on the market. Most of the higher end homes offer distinct amenities such as listings with multiple acres, basement parking, homes with ten rooms or over, and listings with ample living space of over 3,000 square feet or more. Many of the homes feature upstairs attics and attached garages also. Among the offers on the lower end (under $400,000) are properties that are competitive as well. Many of these listings include gas fireplaces, five rooms or more, and several decent looking homes built in the 1960’s or 70’s and constructed of wood or other common materials. There is also a number of prime real estate in the form of vacant lots that are useful for building upon for a $400,000 price range and under. The Anchorage/Hillside area is uniquely situated as both an urban center with many modern conveniences and a rural area with woodlands and all of the accompanying activities and amenities as well. There are many restaurants, stores, and other retail businesses in the Anchorage Alaska area as well as many opportunities to go slightly off the beaten path and spot some of the unique Alaskan wildlife. Much sightings of deer, elk and moose are available in this area. Camping, hiking, and nature walks are all pastimes that would be readily available in the Anchorage/Hillside area. There also several zoos and exhibitions devoted to Alaska’s indigenous people offered throughout the year in this area of the country. Not to mention there are a number of parks nearby the East Tudor and Abbott road location such as Far North Bicentennial Park, Delaney Park, Goose Lake park, Russian Jack Springs park, and many others. Owning real estate in Alaska is not just a designation that one has, but it is truly a lifestyle as well.